JANAT PARIS co-sponsored a unique concert of club music and classical music fusion hold at Bunkamura Museum in Orchard Hall on March 21. 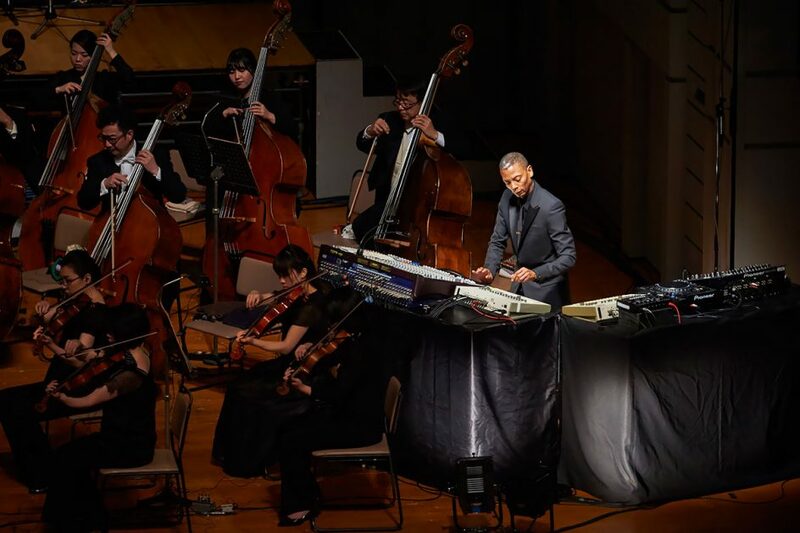 The famous American DJ and producer Jeff Mills, pioneer in the domain of mixing club and classical music is well known as a leader in techno music. Ms. Yuyama, producer of the concert introduced Femmes du Monde and ‘Tea for Two’ to the fans.